Chair entirely realized in glued glass, available in the finishes transparent extralight, transparent coloured glasses, matt coloured diffusor glasses and glossy coloured diffusor glasses. The transparent extralight version is in tempered mm. 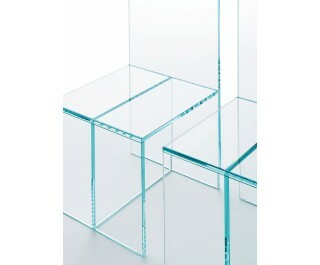 15 thick glass, whilst the transparent coloured version is in laminated mm. 8+8 thick glass.